Every adventure photographer knows how difficult it can be to find the perfect backpacking camera. It seems like they’re either too heavy to carry comfortably, or they’re too small to use easily, or they just don’t produce the kind of image quality that you’re looking for. Thankfully, recent years have produced many cameras that do admirably well on the trail, from large DSLRs to capable point-and-shoots and solid mirrorless systems in between. Of all the cameras ranked here, we believe that the a6300 from Sony’s Alpha series is the absolute best you can buy for backpacking. It’s incredibly tough, easy to use, and—most importantly—always turns out beautiful professional-quality images. It’s all the performance of the studio in a package that’s easy to take on the trail! To sum it up, we think that the Sony Alpha a6300 is the best camera for the backpacking photographer that’s on the market today. It takes superb photographs, with a huge image sensor that always delivers clear, colorful, lush images no matter what the setting. And with the fastest autofocus system on the market today, you’ll never miss out on that perfect trail shot. But it’s practical as well: a durable magnesium body and sticky handgrip mean that it’ll stand up to all the rigors of shooting on the trail. If you’re looking for a camera that can perform effortlessly and dependably even in difficult trail conditions while still delivering professional results, then you can’t do better than the a6300. If the Alpha a6300 isn’t quite your speed, then you might want to take a look at our second pick, the Nikon D7200. It’s a full-bodied DSLR, so it’s a bit heavier and larger, but for that increased weight you also get a wide range of worthwhile features. With a ton of megapixels and a powerful sensor, and range of compatible D7200 lenses – this DSLR always turns out gorgeous photos, even when you’re shooting at night. And its battery life is remarkable for a camera of its size and capabilities, so you won’t need to stop every few minutes just to change your battery pack. All in all, the Nikon is ideal for the trail or nature photographer who isn’t ready to give up DSLR quality when they’re out on the road. If you’re in the market for a powerful point-and-shoot that delivers image quality on par with the professionals, then look into this lesser-known offering from Ricoh. The GR II is an adrenaline junkie’s camera: ultra-slim and lightweight, with a speedy autofocus so you’ll never again have to miss out on an awesome shot. It’s incredibly lightweight, yet durable and ergonomically-designed as well. Packing a range of useful features at less than half the price of most of the models on this list, the GR II is perfect for the photographer who wants to hit the trails light—and in style. Image Sensor and Megapixels: The combination between these two factors is what makes a great photograph, so keep an eye on both when you’re choosing a camera. Size and Weight: Think about where you’ll be keeping your camera—most likely around your neck or in your pack. That means you’ll want something that is a manageable weight and won’t take up a ton of space in your gear. Speed: Having a fast camera is especially important out on the trail, where a few seconds might make the difference between a great shot and a missed one. Choose a camera that sets up and operates quickly. Weatherproofing: You’re going to run into some rain and dust on the trail, so look at a camera’s resistance to the elements. Affordability: Every photographer’s budget is different, so choose what’s right for you. Most of the cameras on this list come in above $500—some are high-end point-and-shoots, while some fall on the lower end of the DSLR market. Build Quality: Obviously, you want to invest in a camera that will stand up to the test of time as well as the elements. A durable metal or strong plastic body and quality lenses will keep your camera working for years to come. If you’re serious about your nature photography, then you’ll probably want to consider making a bigger investment in a camera. For the higher price tag, you can expect your camera to come prepared for more rigorous shooting and deliver higher quality results. For a start, a more expensive camera will have higher build quality, and will stand up better to the stresses and strains of serious outdoor work. It will also, on average, have a larger image sensor and more megapixels—that means that your pictures will look crisper, have more detail, and achieve a better color balance. They’ll also have better lens options. More money might buy a slimmer point-and-shoot, but expensive DSLRs tend to be larger and heavier—so they might not be your best option. Generally, a larger investment in a camera will pay off in the long term, especially if you’re planning to take that camera on long hikes and into dangerous conditions. Choose wisely, and you’ll gain an adventure companion for years to come! We’ve put together an extensive list of what we loved and didn’t love about each individual camera below. You’ll find ratings based on image quality, megapixel count, performance in the field, durability and navigability, price, and more! See the Sony Alpha a6300Mirrorless cameras — as light as point-and-shoots, but with the image quality of a DSLR—are absolutely ideal for backpacking. This offering from Sony is the best of the best. Plenty of pro nature photographers fall back on this camera as their standard, and for good reason. It’s compact and durable, but the images it produces are stellar. With a superb image sensor, ultra-fast autofocus and weather-resistant body, you’ll never miss that perfect shot again. Plus it comes in at a highly competitive price for its class. All in all, the Alpha a6300 is the perfect choice for the adventure photographer who needs top-of-the-line performance in an extremely portable package. Reviewers have plenty of praise for the Alpha a6300, with several reporting that it offers equal or better performance than their DSLRs with half the weight. Many reported that the camera feels sturdy and well-built in the hand, and adapts well to shoot movies or stills with ease. Overall, reviewers were unanimous about one thing: the a6300 captures astonishing photographs. They were consistently impressed by their images’ clarity, vibrancy, and detail. A robust, ergonomic magnesium body with a sturdy hand grip means that you’ll always have a firm handle on this camera. That makes it perfect for action shoots. Plus, an impressively large sensor packed with megapixels is sure to produce exactly the kind of images you’d expect from an Alpha series: clear, bright, and rich. Subject tracking is a breeze with the 2.4 million-dot Tru Finder system, which mimics the immediacy of an optical viewfinder—there’s one of those, too, if you prefer to stick to the old school. It’s tech-savvy, too, with built in wi-fi for file transfer and a tilting 3-inch LCD screen, which make viewing and sharing those awesome travel photos easier than ever! Overall, our biggest problem with the a6300 is the interface. It’s clunky and unintuitive, and the plethora of buttons and knobs is intimidating. The LCD screen isn’t touch-sensitive, and some of the ergonomic design choices have sacrificed usability. Another factor to consider is the price. The Alpha a6300 comes in at close to what you’d spend for a DSLR, so do some comparison before you purchase. This camera definitely isn’t cheap. It’s actually more expensive than some comparable DSLRs, as mentioned above. All in all, we think that the a6300’s consistently stellar image quality and speedy performance in the field make it well worth the cost. For the last few years Sony has been at the forefront of the mirrorless camera market, delivering exceptional products that push the boundaries of the system. 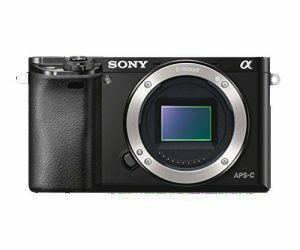 A particularly notable improvement for the Alpha a6300 is its speedy autofocus, which is one of the best ever designed. It’s also more technically competent than past models, with wi-fi compatibility and an impressive subject tracking system. If you’re looking for a fantastic bridge camera for hitting the trails, this could be the one! Megapixels: 2.8 x 2.5 x 2.5 in. See the Nikon D7200Looking for image quality to rival the pros? If you’re in the market for a backpacking-ready DSLR, you can’t do better than the Nikon D7200. We were wowed by its impressive autofocus system, superior image quality, and intuitive, useful features. If you have space in your pack for this gem, then don’t hesitate—it’s one of the best Nikon has on the market today. Reviewers rave about the D7200’s awesome image quality. Photos taken on the D7200 are bright yet balanced, crisp, and full of color. They also had great things to say about its build quality and durability, saying that it had held up admirably to every shooting test. 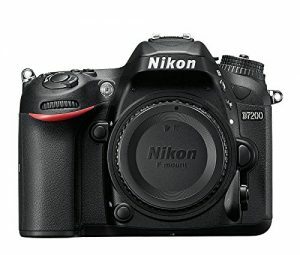 The D7200 is a worthy addition to Nikon’s line, offering many of the features that have made the brand legendary all wrapped up in a very affordable package. A powerful 24-megapixel CMOS sensor delivers exactly what you would expect from a high-end Nikon: detailed, lush images with very low noise or interference. Advanced ISO settings and low-noise priority mean that it’s ideal for low-light and night photography as well, making it the perfect choice for those awesome night sky shots. Plus, its high-speed frame rate and huge continuous shooting capacity make it a natural choice for action photography. And with built-in wi-fi sharing, you won’t need to wait to broadcast those awesome shots to the world! It has incredible battery life too, averaging over 1100 shots on a single charge. Though it’s overall a fantastic camera, the D7200’s tech capacities could definitely be better. The wi-fi and near field communication systems are unreliable at times, which can be a hassle. It’s not ideal for video either, with a sluggish live view autofocus and a lack of independent aperture control. Priced as it is, the D7200 is an absolutely great value. It delivers performance to rival much more expensive full-frame cameras. It’s weatherproof and durable as well, so you can have confidence that you’re investing in an outdoors companion for years to come. We believe that this is the best DSLR you can purchase for backpacking at such a reasonable price point. 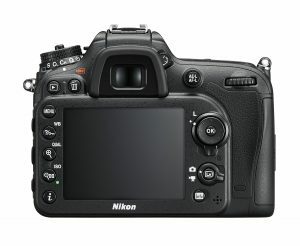 Nikon has done a wonderful job at tailoring their distinctive system feature to suit such a lightweight, portable model. The D7200 fixes a few issues from previous models. It has a much faster frame rate and a stronger, brighter dynamic range. Technological features—such as wi-fi and a meatier sensor and battery—are also welcome improvements. See the Ricoh GR IIIf you’re looking for a camera that’s ultra-light and portable but doesn’t sacrifice quality, then a point-and-shoot might be your best option. This offering from Ricoh is a fantastic choice. 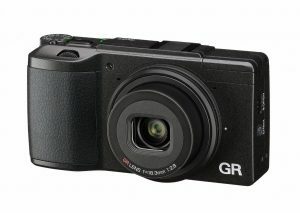 The GR II is consistently regarded as one of the highest quality point-and-shoots on the market. Plenty of pro nature photographers carry this as one of their main cameras, an impressive achievement for such a compact piece of equipment. It’s packed with features and performance to rival the big guys, including a gigantic image sensor and a gorgeous 28-35mm lens. Plus, the GR II is insanely affordable, easily halving the price of our two other top picks. That makes it a winner in our book! Reviewers are unanimous that, with regard to features and image quality, this is the best point-and-shoot body they’ve ever used. They particularly praised its ergonomic build, incredibly lightweight design, and great image sensor, saying it put out images as good as their DSLRs. Many pros have opted to carry this hardy little camera as a second body, or even as their primary tool. This simply one of the best point-and-shoots out there, bar none—but its durability and light weight make it ideal for the backpacking photographer as well. With 16 megapixels and an APS-C sized, DSLR-level image sensor, the Ricoh turns out incredibly beautiful images that are high in color detail and low on noise. An anti-aliasing design and a beautiful quick focus lens give your photos the treatment they deserve. Plus, the focal range is absolutely ideal for nature and landscape shots. It shoots 1080p HD video as well, so you’ll always have a range of capture modes at your disposal. And all this in a compact, sensibly weatherproofed package that comes in far below $1000! Ricoh has incorporated wi-fi capabilities into the GR II, and while that’s good in concept the sharing options are thin and the interface is confusing. It’s also not as full-featured in terms of adjustability as some other models on this list, so consider that before purchasing. In addition, some reviewers were also less than enthusiastic about its build quality, saying that some parts seemed flimsy. This is, by far, the most inexpensive camera in our top three, but it’s certainly not a small investment. However, if you want a point-and-shoot that can compete with DSLRs as far as image quality, this is the one for you. The GR II’s sensor is larger than any other camera of its size and weight on the market today. You just won’t find the same level of image quality from other point-and-shoots, and that makes it well worth the higher price tag. Ricoh is a smaller brand, but they’ve worked hard to expand the features and capabilities of their higher-end line. In particular, we like the GR II’s new anti-aliasing design and HD video capabilities, which do a great job of making this camera viable for a wider range of users. It’s also lighter and slimmer than previous models, with an ultra-sleek casing and durable grip. If you want DSLR results from a point-and-shoot package, the GR II might be right for you. Dimensions: 3.3 x 1.7 x 4.8 in. 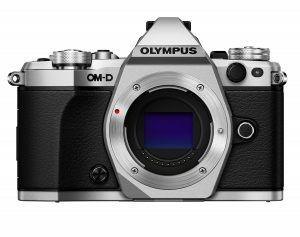 See the Olympus E-M5 Mark IIFor those of us who are enjoy the bridge aspects of a mirrorless camera and are willing to spend a little bit more, this gorgeous model from Olympus is a strong contender. Reviewers heaped praise on the E-M5 Mark II! They said it was packed with features far above its weight and acclimated well to a range of shooting styles and settings. They also loved its overall image quality, commenting that photos turn out crisp and gorgeous, with excellent dynamic range and great color balance. Though it has a smaller image sensor than some competitors, the R-M5 does feature a 40 megapixel high resolution mode that’s perfect for those once-in-a-lifetime shots. A sophisticated 5-axis image stabilization means that your photos will always be crystal clear, while a continuous autofocus feature is always rock-solid. It’s also weather-proof, and sealed against water, dust, and low temperature, so you’ll never have to miss out because of flimsy equipment again. Plus, it looks fantastic with its chunky black retro-inspired body, articulating LCD screen, and silver accents—perfect for a the photographer who wants to add some flair to their hiking pack! The Olympus is so small and lightweight that it’s actually sometimes hard to keep a hold on, despite a wide grip. And its battery life isn’t the best, maxing out at around fifty shots. That’s not ideal for a long day out on the trails. 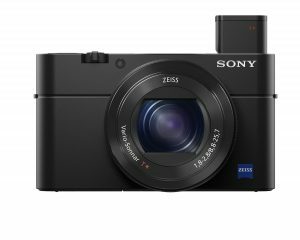 See the Sony RX100 IVAnother fantastic point-and-shoot option, this tiny model from Sony delivers big-time in the areas of speed, ease of use, and full-featured performance. 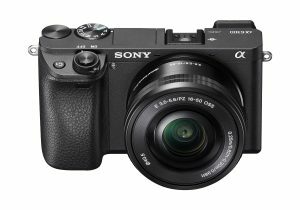 Reviewers loved the RX100 IV’s impressive 20-megapixel sensor and capable lens, commenting that the combination produces higher quality than any other compact camera on the market. They also praised the luminous pop-up viewfinder, which comes in especially handy in low-light situations. One of the RX100 IV’s most impressive features is its24-70mm Zeiss T-Star lens, which provides distortion-free, vibrant images. Intelligent autofocus and a fantastic CMOS sensor give superb still and video results. Quiet, speedy, and very lightweight, the RX100 IV just might be the perfect adventure companion. It’s also absolutely packed with buttons to facilitate all those features—the fixtures just can’t keep up with the interface. 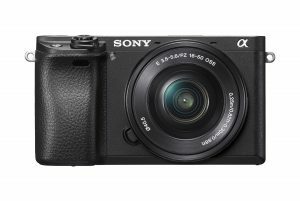 See the Sony a6000If you’re ready to take your trail photographs to the next level and willing to invest in a quickly-expanding mirrorless line, then take a look at this offering from Sony. An excellent addition to the Alpha line, it delivers the powerful performance of more expensive models in an accessible body. Reviewers said this was one of the best travel cameras they’d ever used! It rivals much larger and more expensive cameras in terms of overall image quality. They also loved the tight, durable body design, the ultra-responsive viewfinder, and fast autofocus, saying that these features proved invaluable on challenging shoots. Welcome news for the photographer on the go! One of the a6000’s best features is its Exmor 24 megapixel sensor, which produces images on par with high-end DSLRs. We also love its speedy continuous autofocus system—which is one of the fastest ever produced—and its rich, high-contrast viewfinder that helps you snag the perfect shot. Video and low-light shots aren’t a problem either, thanks to full HD movie mode and an impressive ISO range. Since the power zoom lens and other features use up a lot of power, the a6000’s battery life is disappointingly short. It also stumbles a bit in high contrast shooting scenarios, so it’s best to watch the exposure carefully. See the Canon EOS 6DIf you’re really prepared to take the plunge, consider investing in the EOS 6D. An impressive DSLR in its own right, it’s also light enough to take on the trail. The EOS 6D is a perennial hit with reviewers. They love its spectacular image production, smooth, solid handling, and great autofocus system. Plenty of professionals and hobbyists alike will testify to this being their favorite camera ever—a ringing endorsement! With a class-leading CMOS sensor, 11-point autofocus, and exceptional image quality across its entire ISO range, the 6D is remarkably adaptable. It shoots well anywhere, anytime. 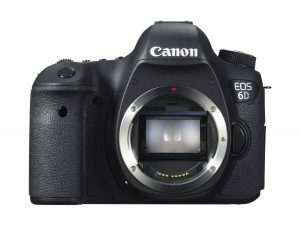 Plus, its magnesium body and durable shutter design guarantee that the 6D will be by your side for many, many shoots. One new feature that we particularly love is the EOS 6D’s smartphone and tablet compatibility, which allows you to control the camera remotely from another device. That’s a godsend for nature photographers. The bottom line is: the 6D is heavier than you might want while hiking or backpacking. It’s big and complicated too, so don’t expect to whip it out quickly. There isn’t a built-in flash either, which means you may need to carry around another piece of equipment. 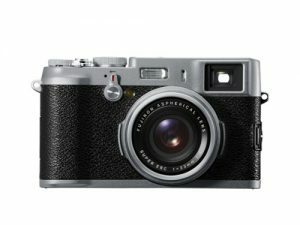 Reviewers were very impressed by the X100s, saying that it was their “go-to” camera for travel and adventuring and continually lives up to DSLR quality standards. They also vouched for the quality of the shots, saying that it produced sharp, beautiful photos with very little distortion, even in low light. First things first: the X100s takes incredible photos. Its 16-megapixel CMOS sensor produces images that are especially rich in color, high-resolution, and very detailed. Plus, with a lightning-quick autofocus system and a hybrid viewfinder that lets you switch seamlessly from optical to electronic view, you’ll always be ready when the perfect shot comes along. The X100s’ autofocus stumbles a bit at a high ISO, so it’s not ideal for shooting in low light conditions. Its battery life is also less than we’d like to see in a camera this size. 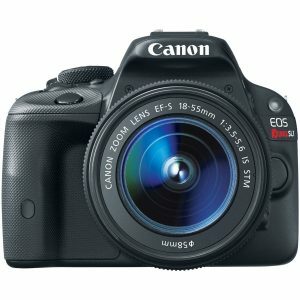 See the Canon Rebel SL1One of the smallest, lightest and one of the more affordable DSLR cameras ever made, the Rebel SL1 is still a classic—and awesome for travelling, to boot! The Rebel SL1 has always been a big hit with reviewers, who love its lightweight frame and especially recommended it for travel photography. Canon has packed this tiny Rebel full of features from its more expensive models, like an ultra-fast processor, superb ISO range, and precise touchscreen autofocus. It also has a range of cool new tech features, including a bright 3-inch LCD screen and a range of creative shooting modes, that make grabbing that perfect shot more fun than ever. Though heavy, the Rebel SL1 is incredibly small. That is an unfortunate combination, because you’re often grasping for grip on a hefty piece of equipment. Its autofocus system also has only nine points, which makes it less than ideal for very precise shots. Reviewers had high praise for the G16’s incredibly durable yet portable body, saying that it feels great in the hand, and was easy to slip into a backpack or bag. They also loved its speedy autofocus. We love the G16 for its sophisticated CMOS sensor, its speedy processor, and the Canon HS system that gives you crisp shots even in low light. The 5X optical zoom and range of creative shooting modes let you customize your shots on the go—and when you’re done shooting, you can easily upload them to your smartphone using the Canon Image Gateway software. 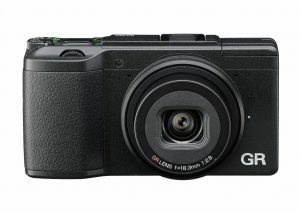 The G16 also shoots full HD 1080p video, at a quality that far surpasses what you’d expect from its size. 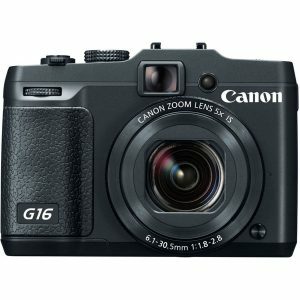 Since the G16 is a smaller and cheaper model, it doesn’t have as large a sensor or as many megapixels as many of the cameras on this list. Its menus and interface are also a bit sluggish and difficult to navigate, so it’s not for the technologically challenged. In conclusion, we believe that the Sony Alpha a6300 is simply the best backpacking camera on the market today. It has everything you could possibly need: top-notch build quality, a lighting-fast autofocus system, and a sensor that delivers rich, crisp images no matter the conditions. For the photographer who’s looking for a full-featured DSLR and doesn’t mind a bit of extra weight, the Nikon D7200 is the best choice on the market. Its fantastic battery life, capable image sensor, and rugged build make it ideal for the busy nature lover. You might also want to take a look at the Ricoh GR II, a rugged diamond in the rough that can stand up to the trail without ever scrimping on performance. It’s perfect for the photographer who wants to travel light without giving up superior performance. The backpacking photographer has a range of fantastic camera options available to them on today’s market. Hopefully, this list has helped you to figure out which backpacking camera is right for you! REALLY?? No mention of the Olympus TG cameras?? I have a TG 4 I’d prefer for backpacking and canoeing over ANY of the choices listed here. Better take another look at it. Thanks for the suggestion, Eric. We’ll take a look when we circle back to this review’s next update!